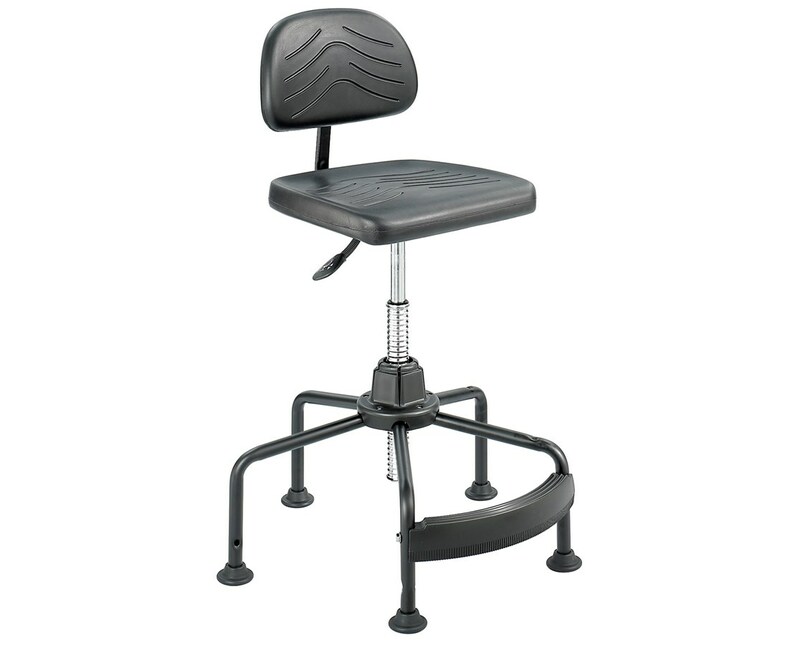 The Safco Task Master Industrial Chair is a modern looking and highly functional chair designed for industrial use. It has seat padded with 2 ½-inch cushion that helps prevent fatigue. The chair’s backrest, seat, and overall height and tilting angle can be adjusted. Also featured are the eight-inch pneumatic lift and the high, mid, and low-rung polypropylene footrests that mount securely to the 26-inch diameter base. This chair also swivels 360 degrees for versatility and user comfort. It has a five-star leg with 2 ½-inch glides. 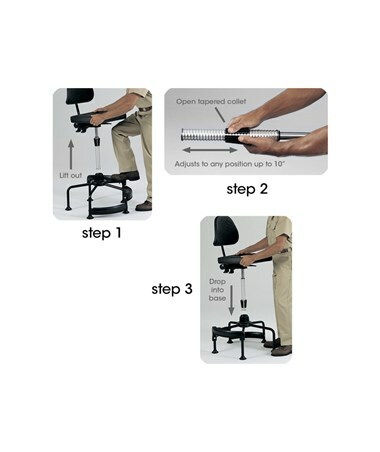 The chair’s seat can be tilted up to 10 degrees using the paddle lever controls. The backrest can be tilted up to 22 degrees, while its height adjusts independently using the ergo knob control. A patented wave tube extension is also featured, which offers additional 10 inches of height giving the seat a height of 17 to 35 inches. 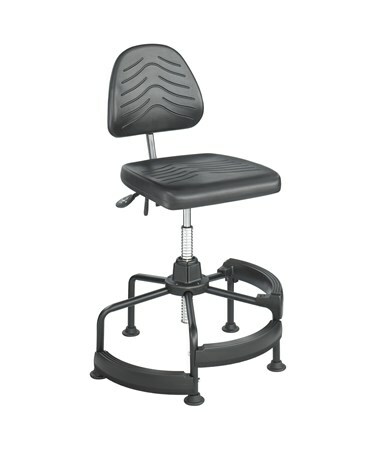 This industrial chair’s seat and back are covered with black microcellular, self-skinning polyurethane foam, while the base is made of steel. It meets ANSI/BIFMA industry standards for furniture safety. 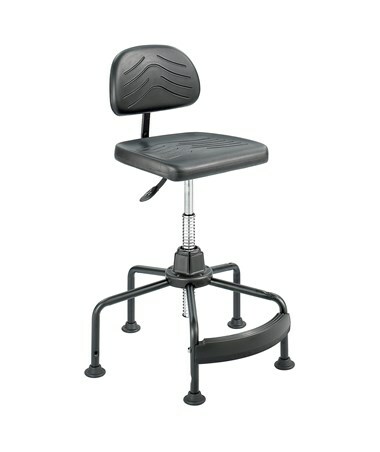 The Safco Task Master Industrial Chair is available in two types. Please select your preference from the drop-down menu above. Adjustable seat height of 17" to 36"